Southern Taiwan was hit was hit by a magnitude 6.4 earthquake early Saturday, with heavy damage reported. Rescue crews are trying to save people feared to be trapped inside a collapsed building in the city of Tainan. The death toll of the Saturday morning earthquake in Taiwan now stands at 35 people. More that 100 people are still missing. More than 48 hours after the Tainan quake, rescuers managed to save a woman from the wreckage of a collapsed building, Reuters reported, citing a witness. A 20-year-old man has been pulled alive from a collapsed apartment tower, after spending more than 24 hours under the rubble, local media reports. Emergency crews in Tainan are focusing their resources on saving some 30 people who are closest to the rescuers and not buried deep under the wreckage. A total of 132 people remain missing in the debris of the Wei-guan apartment building, according to a Tainan city official, who said most of them seem to be trapped deep under the rubble. At least 18 people have been confirmed dead in the Taiwan quake so far, most of them inside the collapsed residential complex in Tainan. The number of people killed in the Taiwan earthquake has increased to 14, AP reports citing Tainan city authorities. Taiwan's Emergency Management Information center has revised the number of injured to 477, adding that 380 of them have been discharged from hospitals. Taiwan's official Central News Agency reported that 172 people are missing. About 340 people have been rescued from the rubble in Tainan so far. 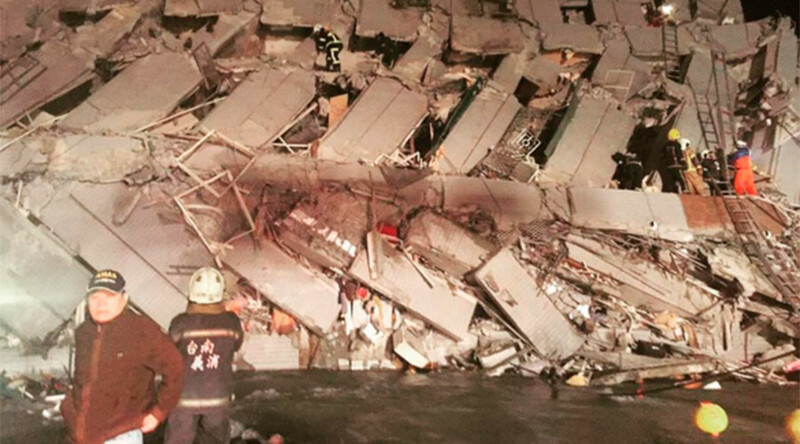 The death toll in the Taiwan earthquake has reached 13, AP reports citing local authorities. The disaster has injured 475 people, but 368 of these have already been discharged from hospitals. One hundred people are still missing. The officials have now put the number of dead in the quake to 11, AP reported.